Product prices and availability are accurate as of 2019-04-22 10:05:29 UTC and are subject to change. Any price and availability information displayed on http://www.amazon.com/ at the time of purchase will apply to the purchase of this product. 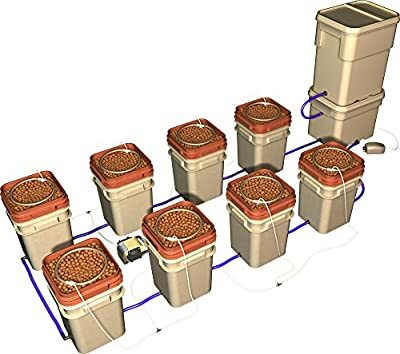 The WaterFarm 8-pack is eight WaterFarm module units connected to one General Hydroponics Controller: an integrated 13 gallon reservoir and an 8 gallon controller unit. 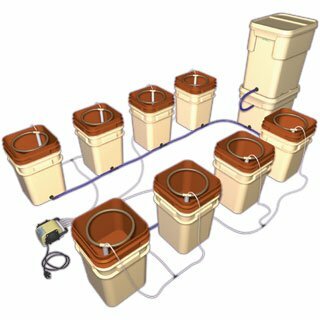 The Controller will keep each unit topped off with the correct level of nutrient for low maintenance. The nutrient solution is circulated by GH's Dual Diaphragm Air Pump. Includes all the necessary hardware, supplies and General Hydroponics Flora Series nutrients. The grower can arrange the WaterFarm units in a design that is suitable for any environment. Pack them tight or space them out for your growing situation. 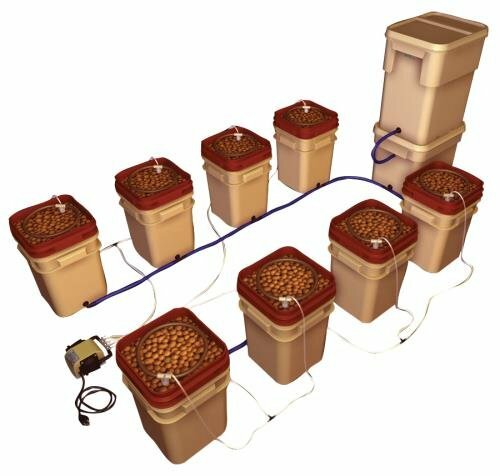 The WaterFarm 8-Pack is the system for big growers. 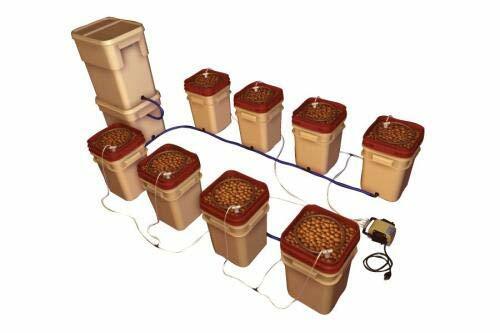 Can be expanded to a maximum of 12 grow sites for one controller.